It’s Good News for students of Buxton & Leek College. If you live along one of the College bus routes you can apply for a special pass which will permit you free travel for journeying to and from College. The free pass can be used during term-time, Monday to Friday from 3rd September 2018 until 28th June 2019. Students can apply for their pass for one selected route from a number of college buses available and two public bus routes (199 and 58). 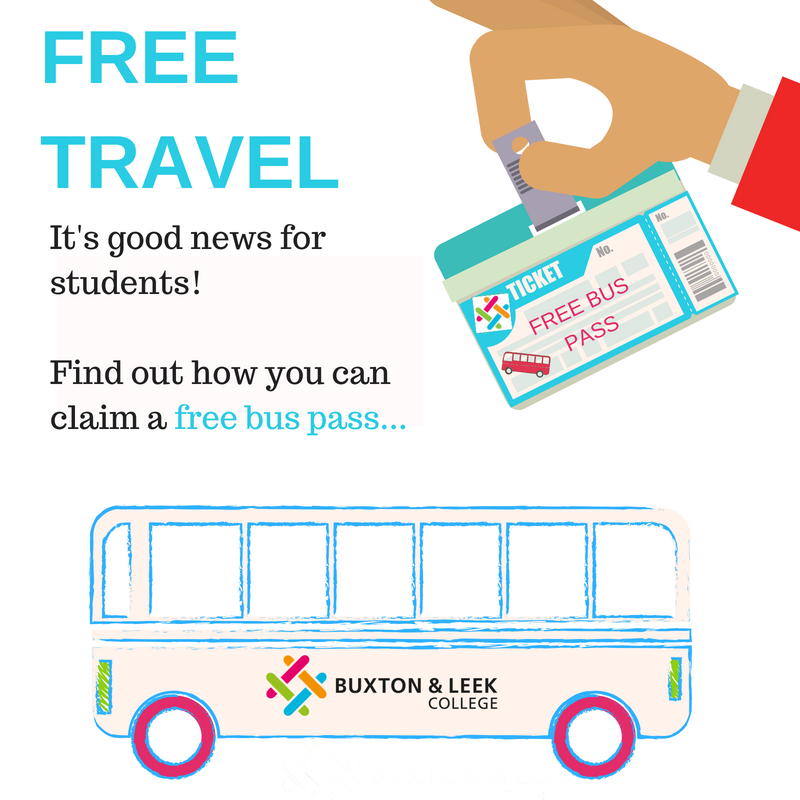 Students should apply for their bus pass at enrolment where a member of the enrolment team will arrange for a Student Adviser at Buxton or Leek to discuss the bus pass in more detail. For more information about enrolment dates, which are on our website visit here. Our Bus Timetables – Where to find them? All bus timetables are available on our website in the transport section, it is always worth checking the timetables before the start of term to check the changes that have been made to bus times and routes. Please call us on 01298 330644 if studying at Buxton or 01538 322114 if studying at Leek, should you have any questions or are unable to view the timetables on-line.